Please, Follow us on Facebook and Twitter!!! Welcome to the Whalley Range Tennis Club website. 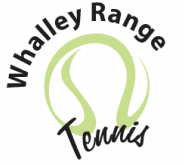 If you wish to hire the club house please go to the following link http://www.whalleyrangetennis.com/hire-the-clubhouse.html and have a look at the prices, booking form and contact information if you wish to inquire further. At JP & Brimelow we have many years’ experience of selling properties. We have the local knowledge, expertise and enthusiasm. JP & Brimelow consistently stand out as the leading independent estate agent in South Manchester.